What Does the Interest-Only Lending Crackdown Mean for You? On the 31st of March, the Australian Prudential Regulation Authority (APRA) revealed that they would be imposing a limit on interest-only lending. The move has been described as a “tactical response” to an increasingly unstable property market. It has officially been decided that, moving forward, the number of interest-only loans given will not exceed 30% of total mortgage loans. At the moment, the number is closer to 40%, which is unusually high. It’s been stated that there’s been a lack of education around interest-only lending – both in how they work and what the net effects on the market are. As such, the move to restrict interest-only lending is the first of potentially many to bring a degree of control to the situation. Firstly, it means that the current record-low interest rates are due to rise. Mortgage costs will be going up because banks and lenders will be required to hold larger reserves. As the situation stands, the reserves aren’t large enough to cope with the property market turning sour. Now is a better time than ever to take out a home loan, possibly with a fixed rate interest period. The difference between taking out a loan now and taking out a loan in a few months’ time could be thousands of dollars. 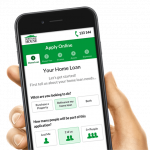 APRA’s interest-only lending crackdown is designed to help strengthen Australia’s property market and help restore power to homeowners.